Legendary actors Dilip Kumar and Saira Banua��s grandniece is the new star kid on the block.A� Sayyeshaaa��Shaheen Banu and Sumeet Saigala��s daughtera��is set to make her Bollywood debut with Ajay Devgna��s second directorial, Shivaay (after U, Me aur Hum). a�?I went to meet Ajay about two years ago and he told me about this film he was directing. So IA�auditioned and got the part. I think it is a good choice because it is such a big film and he is directing it,a�? gushes the 19-year-old, whose first outing was the Telugu film Akhil, which was a box office dud. The Mumbai-based actress tells us how Devgn is an effortless actor and a hands-on director who operates one of the cameras while shooting. Bagging a Hindi film was not a breeze for Sayyeshaa, but she agrees that having a a�?filmi familya�� has its benefits. a�?When you come from a filmi family, you know a lot about the industry. The family knows people in the industry, too. But I dona��t think that makes getting a film easy,a�? shares the Ecole Mondiale World School graduate. Sayyeshaa adds that she has always been very close to Kumar and Banu. a�?We have a close-knit family. They have always advised me to be perseverant,a�? says the actress, picking Saira Banua��sA�Purab Aur Pashchim (1970) and Padosan (1968) as her favourite films and citing the a�?Ae bhaia�� scene from Kumara��s film, Mashaal (1984), as her favourite. The actress, who is trained in Latin-American dance forms and whose dream role is to play a dancer in a movie, will soon be seen making her Tamil debut opposite actor Jayam Ravi, in an AL Vijay film. a�?I have been very lucky with all my films. I was very keen to do the Tamil movie because I have a very prominent role in it. There is a lot of variation in the character, which gives me scope to perform,a�? 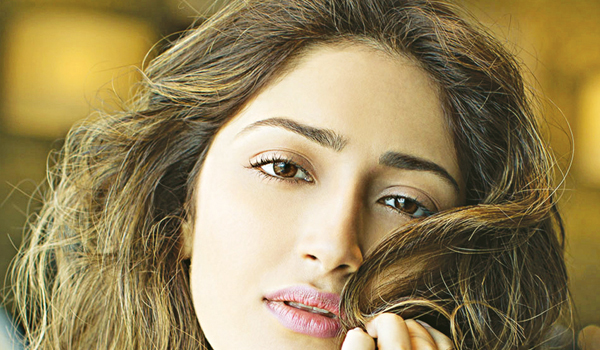 shares Sayyeshaa, who wishes to work with directors like Sanjay Leela Bhansali and Rajkumar Hirani. And while she has other projects in the pipeline, she wants to keep them under wraps for the moment. Shivaay is set to release on October 28.